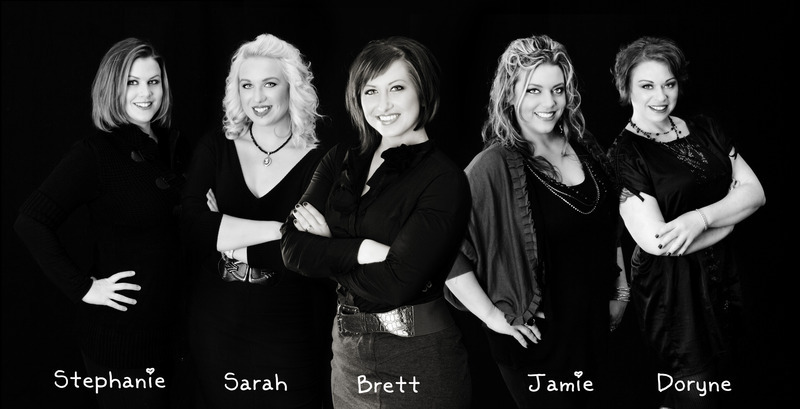 Meet the Lovely Ladies of Brett Dorrian Artistry Studios!! I have had the amazing pleasure of working with Brett Dorrian for the past several months as our preferred hair and makeup vendor; she is such a fantastic person to be around and I am so thrilled to have met her!! She is opening her very own studio ( Brett Dorrian Artistry Studios ) in the Semple Mansion in Minneapolis, and is having a big Grand Opening event next week and was in need of a Team Photo!! I was super excited to photograph these lovely ladies and I think the photo turned out A-MAZ-ING!!! Check out their Grand Opening event HERE , they would love it if you could join them! Posted in Uncategorized | Comments Off on Meet the Lovely Ladies of Brett Dorrian Artistry Studios! !